No one likes a monopoly, not even when it comes to mundane products such as Apple’s USB-C to Lightning cables. Those are just fine, by the way, but they only come in two length options and they’re not exactly crazy affordable, starting at $19. In line with reports from September and December 2018, the doors are finally open for third-party, MFi (Made for iPhone)-certified alternatives, the first of which were unveiled at CES last week. But Belkin could only promise to release its latest Boost Charge cables this “spring”, while Anker (via 9To5Mac) is now ready to commit to a firm March rollout schedule for its new additions to the Powerline roster. 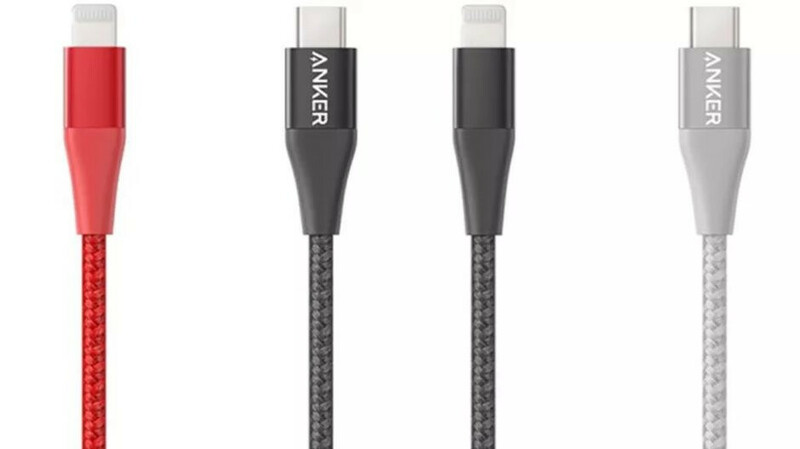 Unfortunately, there are no price tags attached to the “standard” USB-C to Lightning Anker Powerline version or the Powerline+, so we have no idea if any of the two will actually be cheaper than Apple’s in-house accessories. Like the Apple-made USB-C to Lightning cable lineup, the Anker Powerline and Powerline+ alternatives will only come in 3 and 6-foot lengths. Belkin has promised to go all the way up to 10 feet, so Anker will need to beat its arch-rival to the commercial punch or win the affordability battle. Either way, consumers have the most to gain from rapidly intensifying competition. A USB-C to Lightning cable can be particularly convenient for fast-charging those hot new iPhones, although the next generation may follow the suit of the latest iPad Pro family and replace the default Lightning port with a USB Type-C connector.